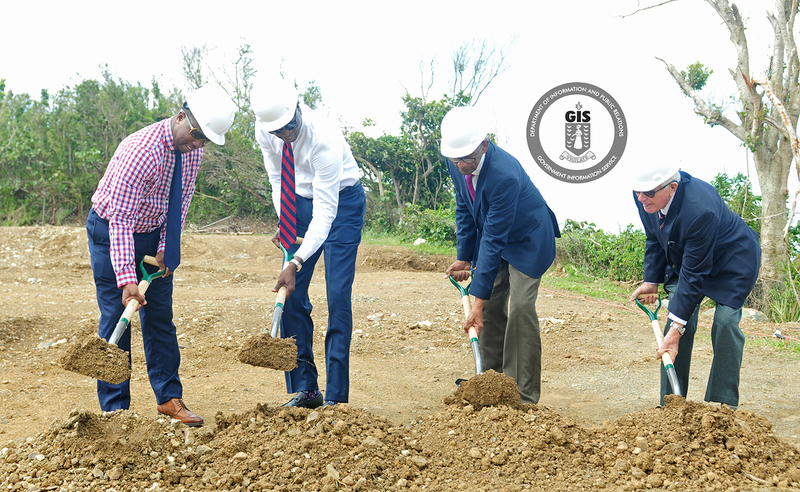 The sod was turned today, February 13 to commence the construction of a new and improved Enis Adams Primary School. The event was witnessed by parents, teachers past and present faculty members, as well as past and present students, community members, members of Government and other officials, the staff of the Ministry of Education, and many other well-wishers. Premier and Minister of Finance, Dr. the Honourable D. Orlando Smith, OBE in remarks at the ceremony said his Government made a public appeal to the community to assist with the rebuilding of the Territory’s schools last year following the passage of Hurricanes Irma and Maria as it could not rebuild the Territory alone. The Premier thanked Mr. Peter Haycraft of Road Town Wholesale Company Limited and his team, Newton Construction for thrusting their weight behind the development of our students—particularly for this school, the Enis Adams Primary. The Premier further added that the event marked an important moment in the rewriting of the history of the Enis Adams Primary School, and that he is confident that the school will make the most of this opportunity and continue to grow from strength to strength. Meanwhile, Minister for Education and Culture, Honourable Myron V. Walwyn said that such an event could only be described as the beginning of a new era. Benefactor of the project to rebuild the school, Mr. Peter Haycraft expressed confidence in the Newton Construction Company and the reeds steel framed building, and is satisfied that the new school will be better equipped to withstand natural disasters. Brother of the late Enis Adams, Mr. Edwin Adams, made a presentation on the life of his sister, former educator and first principal of the school. Other schools to be rehabilitated include the Willard Wheatley, Francis Lettsome, Joyce Samuel, Alexandrina Maduro, Althea Scatliffe and Ebenezer Thomas Primary Schools; the Bregado Flax Educational Centre-Primary Division and the Claudia Creque Educational Centre. Government will also reconstruct schools that were deemed unusable or severely damaged. These schools include: Isabella Morris Primary, Ivan Dawson Primary, Leonora Delville Primary, Bregado Flax Educational Centre Secondary Division and the old campus of the Elmore Stoutt High School.